It’s very rare that I reread books. I just find that there are so many things I want to read that I often don’t make time to reread something. There are definitely exceptions to this like with the Harry Potter series which always helps me to relax and find an escape, but for the most part, I don’t often make time to reread things. 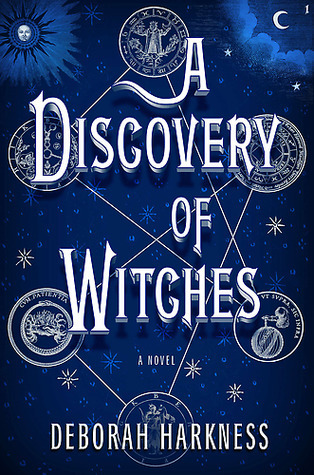 Another exception is the book A Discover of Witches by Deborah Harkness. I believe I have read this wonderful work of fantasy three times now, and I feel like something new stands out each time. This book is essentially about a powerful witch who falls in love with a vampire. It’s sometimes marketed as a grown-up version of Twilight, which I suppose is fair in some ways, but I think that this book is so much more than a love story. Diana, the witch and main character, is a really interesting character and she grows a lot throughout the book and the trilogy. She is complicated because she seems to be simultaneously strong-willed and unsure of herself. She has very relatable fears and hopes. And while the love story is interesting, I find her discovery of herself and the journey of her coming to terms with herself to be an even more gripping aspect of the book. While this is fantasy and has an amazing amount of world-building, I am so impressed at the other things contained in this book: vast descriptions of history and science (especially when it comes to genetics). This is a well-researched book that shows off Harkness’ prowess as a historian as well as her great imagination. At 579 pages, it is quite long for a novel (although most fantasy novels do tend to be longer generally). There is a lot of description and the pace is quite slow. These are things that don’t bother me, but I think it is fair to mention them since I’m sure they will deter some readers. Overall, however, I think that it will be worth your time if you’re interested in the subject matter and want a character-driven magical realism book. Also, if you adore history, you’ll want to definitely continue on to the second book of the series Shadow of Night, which I thought was even better than this first installment.